Day to day issues occur. People tend to repeat repetitive patterns and limited growth occurs when, as the saying goes, when all you have is a hammer you see every problem as a nail! By changing perspective and learning to come from Love, not coming from Ego, miracles in daily life can occur. More importantly you can create your own miracles! By coming from Love, from respect, from trust, from vulnerability, from compassion, from understanding, from empathy, “in essence” coming from Love, you can create your own miracles. After all you are Part of God and you currently believe all miracles come from God. Now use the Part of God that you are, your Soul, the Love inside of You, to come from that Love and watch the miracles occur in your life as you co- create your life with God. The topics are not in any order and will be added to from time to time. 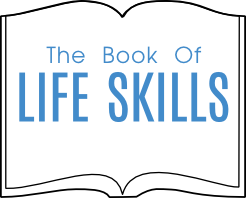 If you have created the foundation by reading through other topics on this website then the Life Skills should be easier to implement. 2. Your Journey This Lifetime – A Victim Or A Victor? 52. Are You Circling Or Spiralling?